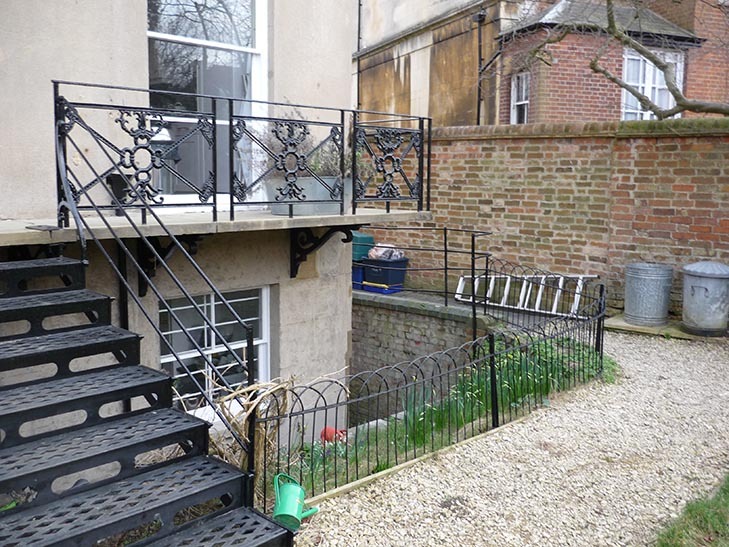 This Oxford city garden was an unwelcoming patch of lawn with narrow borders around the edges. 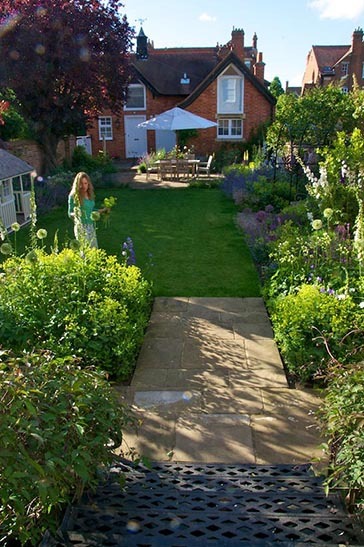 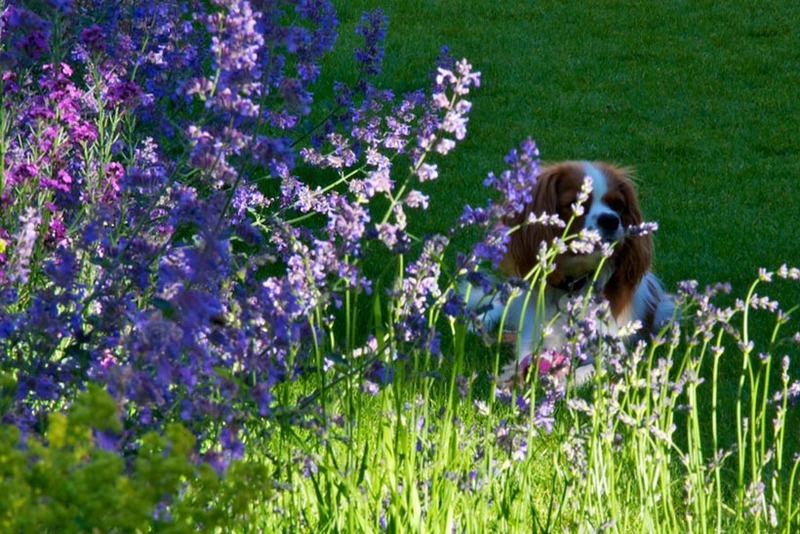 Dale & Heybrook Garden Designers levelled the lawn and redesigned it creating an immaculate rectangle, surrounded by generous borders overflowing with English country flowers. 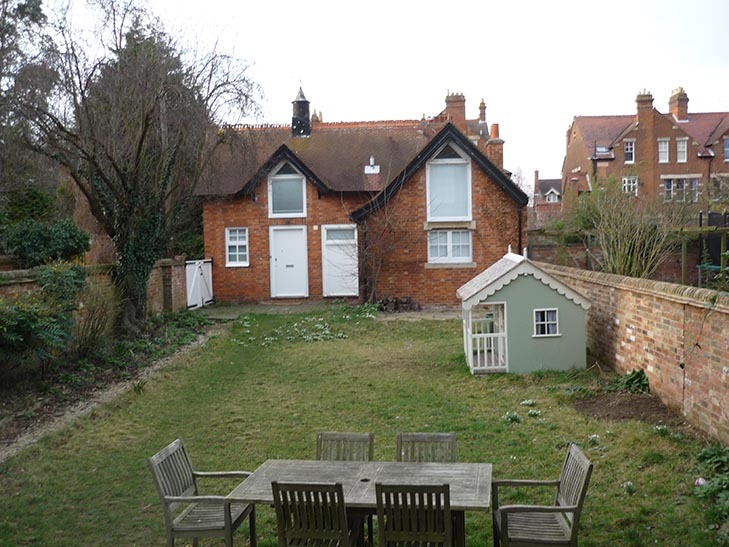 The garden is now a lovely backdrop to the handsome house and is a much-used outdoor room. 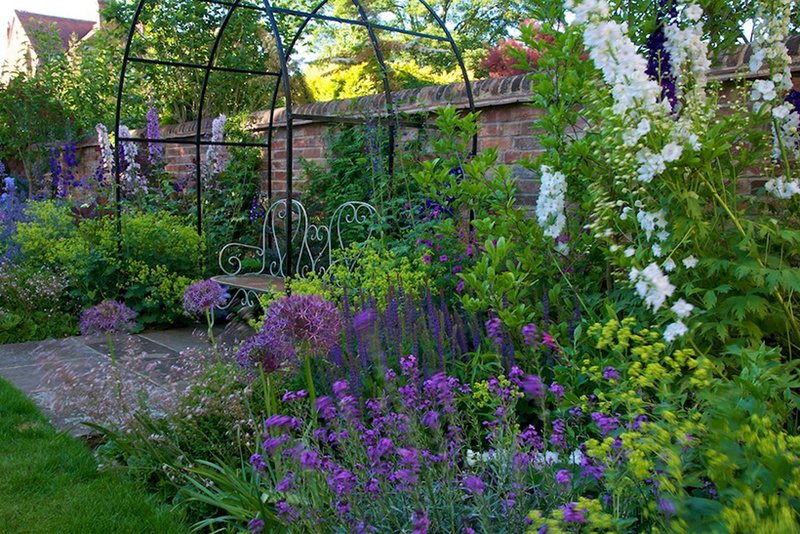 A lavender hedge separates the lawn from the terrace and a handmade metal arbour provides an elegant support for fragrant climbing roses and clematis. 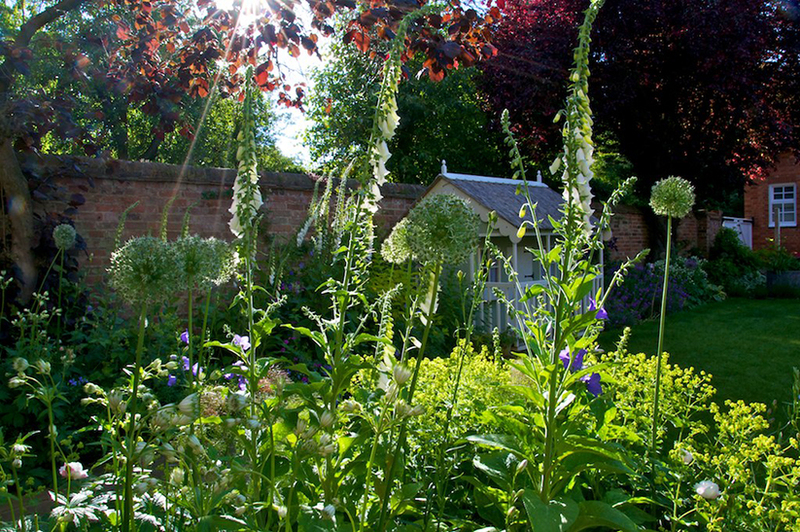 In a year or two, it will be an intimate place to sit enveloped by plants. 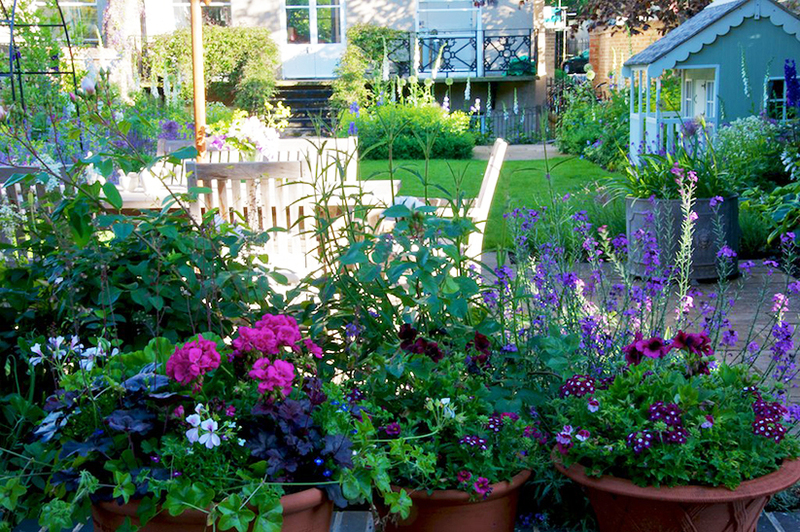 Large terracotta pots are planted up with seasonal flowers. 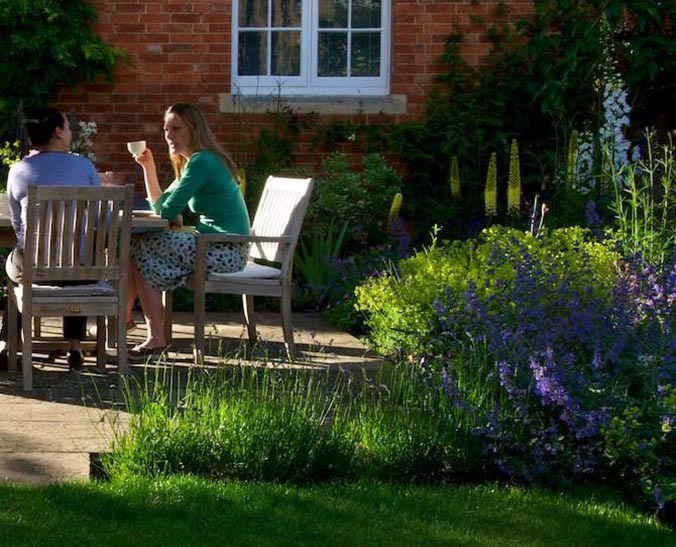 The terrace is situated away from the house at the sunny end of the garden near the Coach House as the back of the main house is north-facing. 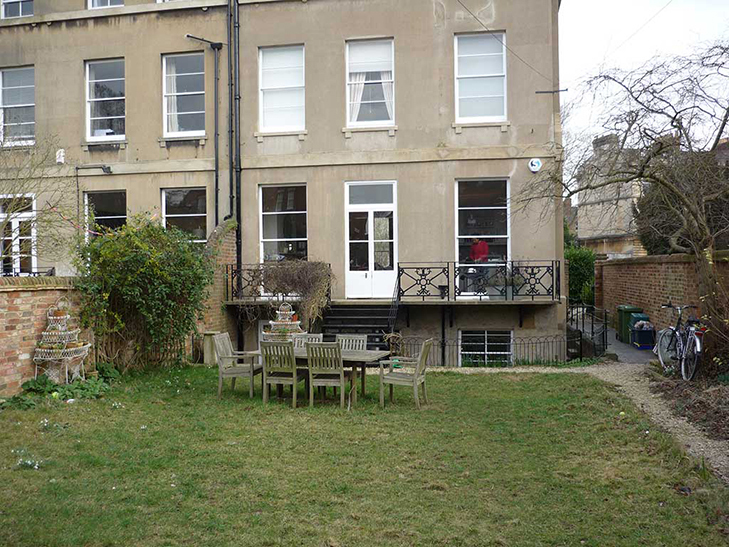 Reclaimed York stone was used for the terrace and paths to complement the Georgian house.